Words like fuel economy and carbon-dioxide emissions often come to mind when we discuss cars of the future. 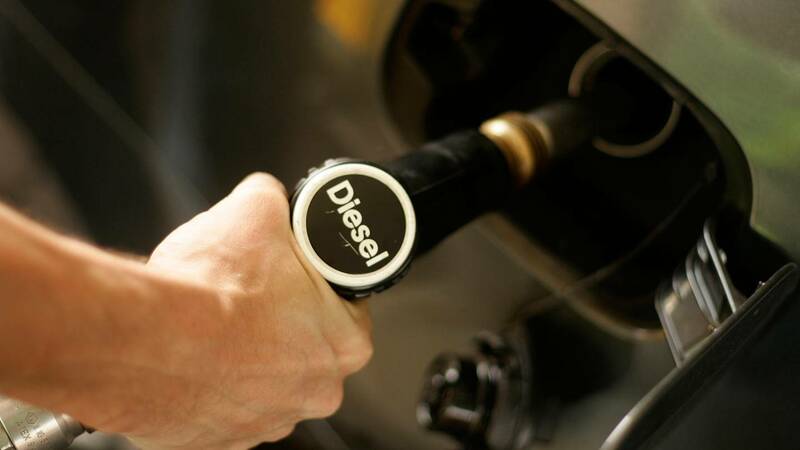 Whether they are manufactured to meet constantly-changing Environmental Protection Agency (EPA) guidelines or to cater to potential buyers looking to save on fuel costs and go green, there’s always one option when it comes to future vehicles that seemingly goes ignored: diesel. Nowadays, many may be wondering why diesel (20 to 40 percent more efficient than gas and cleaner than ever) is never a part of the conversation in the U.S. We’ve taken on the challenge of getting down to the reasons why. Diesel and gasoline come from the same barrel of oil, and given the fact that diesel is a more substantial, less refined product it should cost less, but that’s not the case. Why? The price of both of these products in the U.S. is determined by market forces, taxes, and fluctuating refinery constraints. The simplest way to understand the price difference between the two products is like this: the majority of vehicles manufactured for use in America run on gas, thus it’s in everyone’s best interest (producers and consumers alike) that gas prices remain within an accessible range. Of course it doesn’t hurt that recent trends indicate global supply for oil far exceeds the demand, gradually reducing the cost. Additionally, federal, state, and local taxes favor gas, therefore, making it less expensive. According to the Energy Information Administration, the average state and federal taxes combined per gallon of diesel add up to about 55 cents, while the same average for gasoline is about 47 cents. On the surface that may appear like mere pennies, but in the long run, it’s diesel that costs more per year, and when gasoline fuel is relatively inexpensive by comparison, it’s easy to see why gas reigns supreme. Diesel engines cost much more to manufacture than gasoline engines. They cost more because they require additional equipment such as a turbocharger to be on par with the power levels of a gas engine. Heavier-duty internal components are also necessary for a diesel engine so that it can withstand higher compression ratios. Historically, diesel engines were more about providing torque than horsepower - hence the popularity of diesel-fueled trucks and tractors and the need for an added turbocharger when it comes to passenger cars. Additionally, heavier-duty materials mean a starting MSRP that reflects that, and when combined with the higher price of diesel at the pump, well, it’s no wonder why these cars tend to be overlooked. Besides the obvious costs mentioned above acting as a deterrent for diesel-fueled vehicles, it is the bad reputation that diesel gained during the oil embargo of the 70s that seems to be etched on America’s collective memory. We’ve all seen the archival footage of those soot-belching vehicles leaving black puffs of smoke in their wake. It goes without saying that back in the day, diesel technology wasn’t what it is now, but unfortunately, diesel-powered passenger cars were branded as unreliable oil-burners with little chance at redemption. Some of the contributing factors to diesel's lousy reputation and subsequent decline were the following factors: lack of advanced fuel injection technology (necessary to start a diesel engine, but more expensive and less reliable back in the day), noisier engines, plumes of exhaust smoke, excessive rattling and vibration, and the need for additional glow plugs to start the engine in cold weather climates. EPA regulations when it comes to diesel are strict. For car manufacturers to comply with U.S. regulations, they have to engineer engines that use complicated and expensive fuel injection and after-treatment systems. The more expensive an engine is to manufacture, the more expensive the car whose hood it goes under, which only makes us circle back to the point we made earlier: a higher MSRP combined with the higher cost of diesel provides little incentive for prospective buyers and in turn even less incentive for manufacturers. Realistically, no automaker wants to produce vehicles that aren’t going to sell, and no buyer will invest in a car that’s going to cost them more upfront and take several years to offset that initial cost (unless they need a heavy-duty pickup or something similar). And speaking of EPA regulations, it appears the new rules to significantly reduce emissions from diesel-powered heavy-duty trucks are in the works. If true, the new nationwide rules would match those of the state of California, which has continuously been a leader in regulations when it comes to reducing emissions. While no formal announcement has been made yet, the industry backs this initiative as they want to avoid having to jump between federal and state standards and would prefer a national set of guidelines instead. Do you have any experience driving diesel-powered vehicles? We’d love to hear about it from you on NowCar social media.